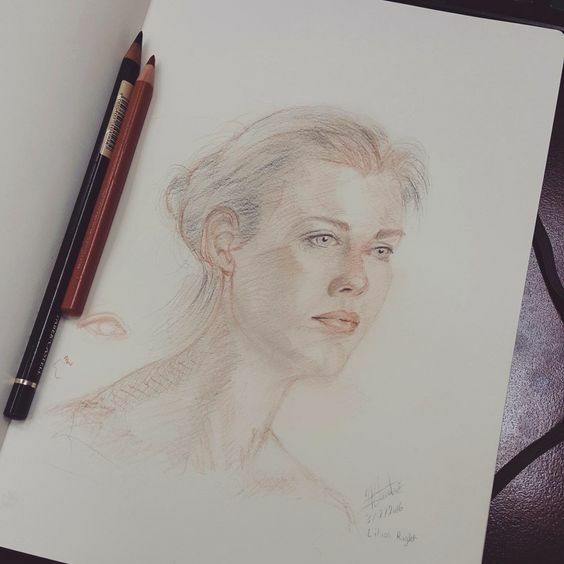 I'm an amateur figurative artist (draftsman) and have to confess that this is one of the best, if not the best "soft" paper sketchbook I've ever purchased to date. 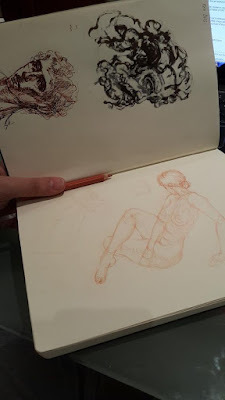 I was actually looking for a Daler-Rowney Ivory series soft paper sketchbook because I got used to it's excellent soft sheets of paper. While looking I found this new Leda Art supply sketchbook by mere coincidence and was very curious to try it. I still ordered the Ivory sketchbook though, which is a very respected choice. But trust me that this sketchbook is no less quality. This Leda skechbook is a true friend, it surprises you by it's excellent Shoe-like rubber soft-bond cover with a "locking" la-stick and a page marking ribbon. At the last page you have a nice pocket like envelop, that not only can contain papers, but I even managed to put a pencil or a two in there. And speaking about pencils, I wish if they could've actually attached a pencil holding rubber at the side of the sketchbook, it'd be perfect. 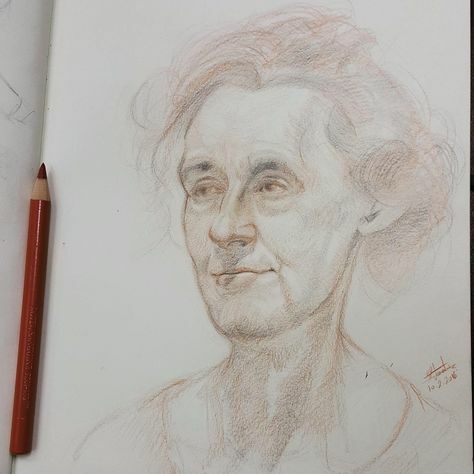 I attached three recent sketches I did. The paper of this sketchbook is soft, and it's best to draw or sketch on it using dry media such as graphite, polychromos and charcoal related stuff as well as pastels plus ink (which did not bleed when I used mine). Light watercolor washes? Well it can handle those, but make sure they are really light washes, (not a fully loaded brush) or else you'll get a mark behind the paper, so make sure that even if you experiment with wet media, you don't do that behind an important drawing page. I would recommend to use watercolor pencils at first as you can't add limited water to it for it "melt" instead of using direct watercolor. I love watercolor, but I won't get upset if this paper couldn't handle it, because after all, it's not a watercolor sketchbook. I yet have to deal with a company that e-mails you 3 times in a month asking about your artistic and customer satisfaction when you buy their sketchbook. Will definitely deal with them again, and I'll wait to see other sizes and different papers.